Let the countdown begin: We are roughly T-minus one month from virtual reality. It’s hard to believe that after three years of developer kits and prototypes and trade shows and me-too headsets and so many demos that we’re finally on the cusp of a consumer release. I’m excited. I hope—sincerely—that you’re excited. Or at least willing to give it a shot. But it’s been one long and convoluted ride, and if you’ve skipped most of the news for the last three years you might be wondering “What the hell is going on in virtual reality these days?” That’s why we wrote a virtual reality for beginners primer a few months back and why, now, we’re going to go over all the hardware barreling down the pipeline—who’s involved, what it’ll look like, why it stands out, when it’ll release, and what you’ll need in order to use it. Ready? Then let’s start with the one that kicked this all off, the Oculus Rift. For many, Oculus is the de facto virtual reality company. And for good reason! Oculus was the first to resurrect the idea of consumer VR in a big way. The consumer version of the Oculus Rift, with optional Oculus Touch controllers. They’ve since been joined by an ever-growing number of competitors, but the Rift is still one of the main heavyweights. 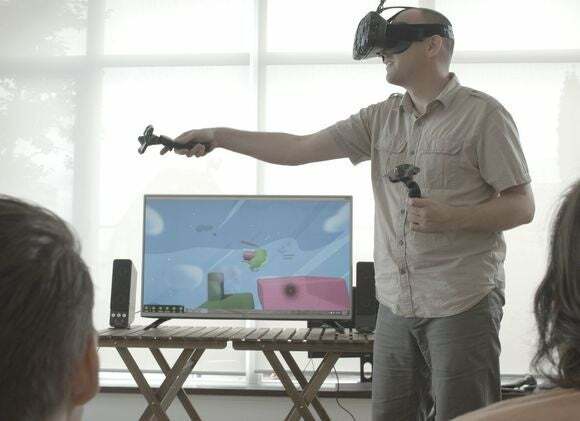 It’s got the most name recognition, the most buzz, the most available software, and its executives (especially co-founder Palmer Luckey) are faces for the entire movement. Oh, it’s also backed by Facebook’s massive war chest, thanks to a 2014 acquisition. The consumer version of the Oculus Rift was unveiled earlier this year and hits most of the baselines the company’s been aiming for since its initial Kickstarter: a low-persistence OLED screen with a total resolution of 2160x1200 and a 90Hz refresh rate, a field of view of 110 degrees, internal rotation-tracking, and a position-tracking camera that sits on your desk. It also has optional headphones bolted on, enabling positional audio for all users without needing a separate audio solution. 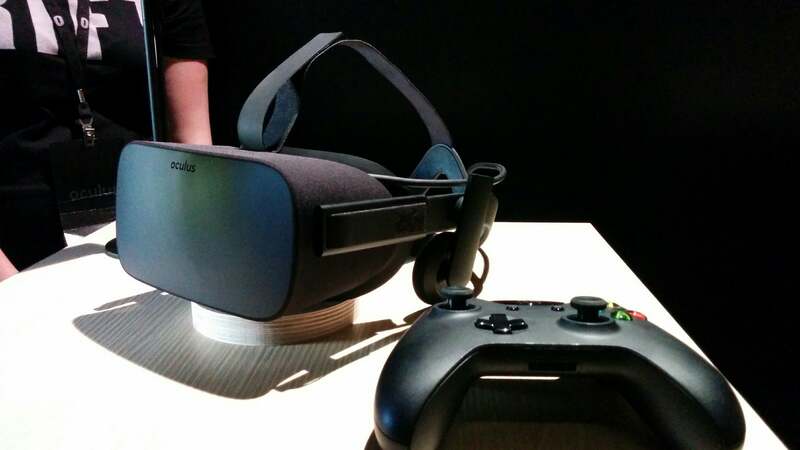 The new consumer version of Oculus Rift is due to ship in early 2016. 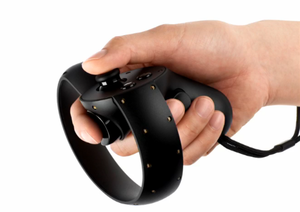 However, consumers can opt to purchase Oculus Touch—two position-tracked controllers (and a second sensor) that effectively let you use your hands in virtual reality, thanks to multiple palm-grip buttons. A close-up of the Oculus Touch, which may be altered before its official release. 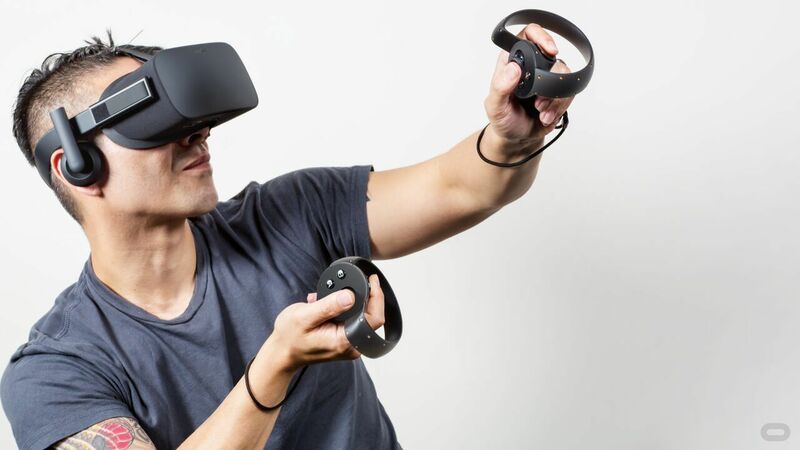 As for price, Oculus has previously said it wants to stay somewhere in the $350 to $500 range for the headset. The goal is to sell it as cheaply as component costs and Facebook’s endless dollars can afford in order to spur adoption. The controllers are still a mystery, though if we go by standard Xbox controller pricing I’d guess it tacks on at least $150. You’ll also need a gaming PC, of course. The recommended specs for the Oculus Rift include a GTX 970 or Radeon R9 290 graphics card, 8GB of RAM, and an Intel i5-4590 or greater. “Oculus Ready” certified PCs will also be available if you don’t feel like building your own system.